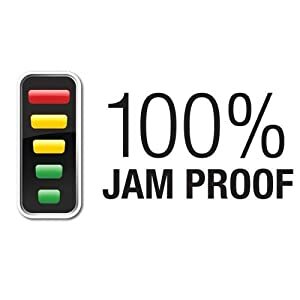 The black & dark silver Powershred 79Ci Jam-Proof Cross-Cut Shredder from Fellowes quietly enables safe and efficient disposal of confidential documents. 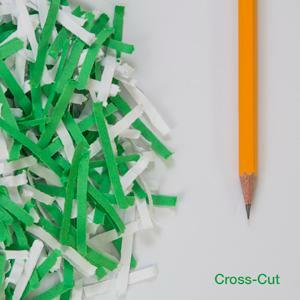 Insert up to 16 sheets at a time into the paper entry at the top of the Powershred to reduce them into 0.16 x 1.5″ cross-cut strips. The Powershred 79Ci is tough enough to cut through staples, credit cards, paper clips, CDs, and DVDs, and can shred continuously for up to 20 minutes before a cool down period is needed. The 6-gallon bin allows for mess-free waste disposal. The Powershred 79Ci Cross-Cut Shredder is essential for securely shredding sensitive tax documents, CDs/DVDs, credit cards and other confidential materials. This child and pet safe shredder features SafeSense Technology that stops shredding when hands touch the paper opening. The 79Ci shreds 16 sheets per pass into 5/32-inch x 1-1/2-inch cross-cut particles (Security Level P-4). Shreds for up to 20 minutes before a 30 minute cool down period is needed. Features a 6 gallon bin. Includes 2 year product warranty and 5 year cutter warranty. For 1 user. 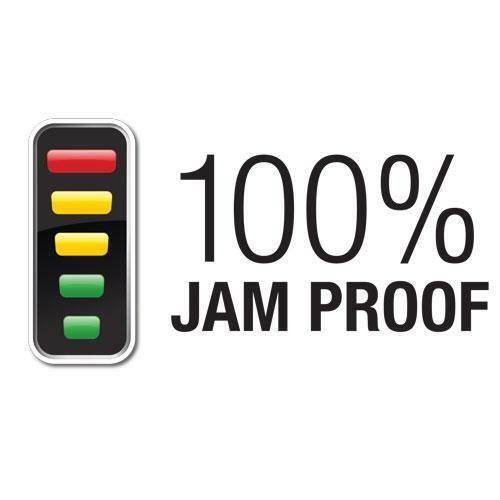 The Fellowes 79Ci delivers three levels of advanced jam prevention with the patented 100 percent Jam Proof System. Every shredder runs for a specific period of time before it needs to cool down. This is run-time. The longer you need to shred, the more run-time you will need. – Shreds paper into cross sections. – More secure than strip-cut shredders. – Faster than micro-cut shredders.